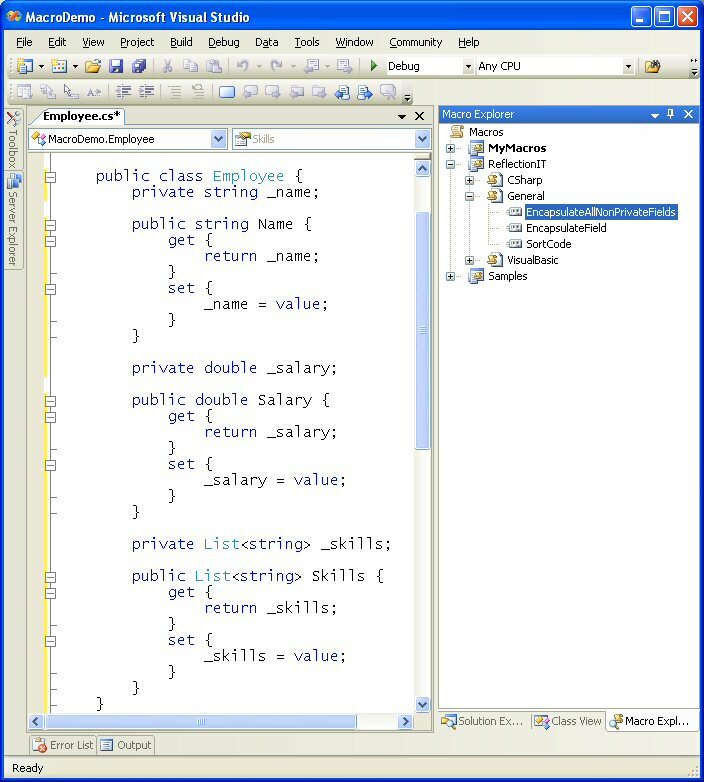 Three years ago I have written some useful Visual Studio 2003 macros: SortCode and CreateProperty. With the introduction of VS2005 it was time to upgrade them. 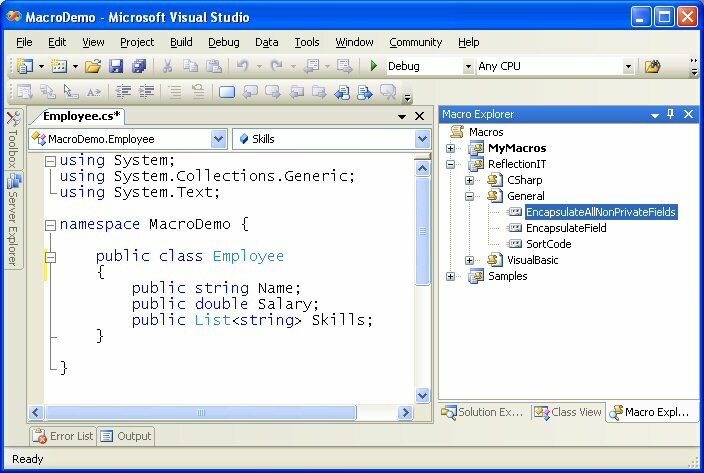 The new SortCode macro also supports VB.NET 2005. Totally new is the EncapsulateAllNonPrivateFields macro. It creates properties get/set for all non private (public, protected, internal) fields. By using the CodeDom I managed to supports VB.NET and C#. After running the marco the 3 fields are private and there are 3 extra properties.